Garrison School Cultural Center continues its commemoration of the 50th anniversary of the Voting Rights Act with Gary Kremer discussing his new book, Race and Meaning: The African American Experience in Missouri. Kremer, a former State Archivist and history teacher at Lincoln University and William Woods University, has written extensively about the African American experience in Missouri during his career. The program will be held at the Garrison School Cultural Center at 3 p.m. on Sunday, March 29. The Cultural Center is located at 502 N. Water St. in Liberty. Kremer, who now serves as the Executive Director of the State Historical Society of Missouri, presents this collection of 14 articles providing a historical perspective of the end of slavery and the struggle of African Americans to find opportunities in Missouri’s rural communities and urban areas. 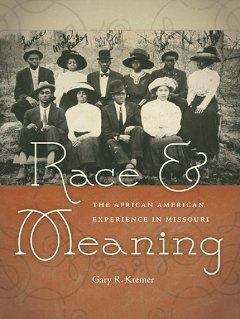 No one has written more about the African American experience in Missouri over the past four decades than Gary Kremer, and now for the first time fourteen of his best articles on the subject are available in one place with the publication of Race and Meaning: The African American Experience in Missouri. By placing the articles in chronological order of historical events rather than by publication date, Kremer combines them into one detailed account that addresses issues such as the transition from slavery to freedom for African Americans in Missouri, all-black rural communities, and the lives of African Americans seeking new opportunities in Missouri’s cities. In addition to his previously published articles, Kremer includes a personal introduction revealing how he first became interested in researching African American history and how his education at Lincoln University--and specifically the influence of his mentor, Lorenzo Greene--helped him to realize his eventual career path. Race and Meaning makes a collection of largely unheard stories spanning much of Missouri history accessible for the first time in one place, allowing each article to be read in the context of the others, and creating a whole that is much greater than the sum of its parts. Whether you are a student, researcher or general reader, this book will be essential for anyone with an interest in Missouri history. 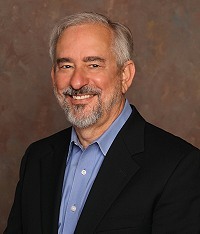 Gary R. Kremer is the Executive Director of the State Historical Society of Missouri, headquartered on the campus of the University of Missouri in Columbia, with Research Centers in Kansas City, St. Louis, Rolla, Cape Girardeau, and Springfield. Previously, Dr. Kremer taught history at Lincoln University in Jefferson City (1972-1987) and William Woods University in Fulton (1991-2004). He also served as the State Archivist of Missouri from 1987 to 1991. He earned a Ph. D. from American University in Washington, D. C.
Gary Kremer has written, co-authored, and co-edited twelve books, most recently Race and Meaning: The African American Experience in Missouri, published in November 2014 by the University of Missouri Press. His current project is a book titled The Day of Jubilee Has Come: Freedom’s First Generation in Missouri, also to be published by the University of Missouri Press. Dr. Kremer was a student and research assistant of African American history pioneer Dr. Lorenzo J. Greene while a student at Lincoln University during the late 1960s and early 1970s.